Home News New federal budget: Why burden public on income? New federal budget: Why burden public on income? The federal government has decided to use all means to strengthen the national treasury for this purpose; he will also use Governor House, Ministers High House and Prime Minister House and also make privatization. But news is a big shocking that PTI will politically damage. 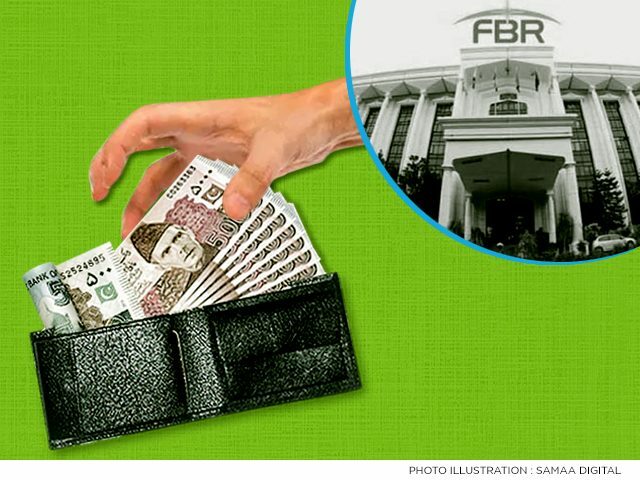 The news is that the ex-government had exempted the income tax set by the government about this; the FBR has issued notice that the salary paid by the former government has been terminated. The former government had declared Rs 12 lakh tax exemption from the annual income. That means, a lakh rupees monthly income was exempt from tax. Now, from Rs 4 lakhs to 8 lakhs annual income 1000 rupees and to 1.2 million rupees you will have to pay an annual tax of Rs 2000 this will give 5% tax to more than that. There is also an implication in this regard, after the federal cabinet meeting; government spokesperson briefed the federal minister Information Fawad Chaudhry. The government will do the work that the government has not yet decided to increase tax on the other hand, the news agency is aware of FBR notification from the agencies. Notification means the decision is to be implemented. Information notification is correct if the notification is correct and if they’re right then what about the FBR notification? However, it is the Government’s work to remove the welfare of this matter because the Finance Act or the decision to tax a rupee all these decisions will be done through Parliament. The fact is that the federal cabinet has decided to terminate the discount in tax and the Finance Act will be made from the Parliament. However, the decision of the government is to increase the tax net. What will be the benefit and loss of the government to this decision? It is the government’s task to review it but this is not just a problem of government because 150 to 2 million people Rs 4 lakhs are annual income that means salary they will be charged 1000 rupees tax. It will increase the unemployment of society in comparison to the national treasury because 80 or 85 rupees of monthly salary of Rs 33000 is not a difficult task but the effect will be on mind the government over us has given extra burden. Yes, which are taking Rs 1.2 lakh to 2.4 million rupees? It is not difficult for them to pay Rs. 60000 or monthly a yearly rupees 5000 but the discount which was given was rarely retracted. When this proposal is presented in Parliament, then more hidden things will be revealed about it. But one question is whether the burden of public is necessary to increase income? There are great examples of this in our country. Abdul-ul-Sattar was twice a Karachi Mayor and Karachi’s budget reached a million dollars to billions of rupees. In a period of 8 years, a rupee did not even make a tax instead, the city’s income has increased and the city has also developed. I also increase and Karachi Water and Karachi Board as the institution was established in their era.If he and his team would like to be advised by Bureau Croaties as well they could even afford taxes and could even make a slight increase. But they increased income sources and resources the same work of prevention and monitoring of thieves was done by the first City District Karachi in Narkatullah Khan’s head. They also stopped petroleum, customs, cord abuse etc. And to give the city bill billions of rupees. The same was done by the Finance Minister from the Center when the Chief Minister was the Finance Minister and later there was the minister of the municipalities of Jamaat-i-Islami. The way to serve without the burden on the public was adopted. This work is easy and the same is the way of bureaucracy and old politicians. Every government is made tax machine. Amir Jamaat-e-Islami Pakistan Siraj ul Haq has also attracted the government instead of becoming a tax machine; he fulfills the promise to return the lost wealth from abroad. Similarly, what is the decision of experts to get money back from overseas? It can be said about this that experts who are available today are mostly available today those who tell out the advice and advice on how to get out of the country after tone of wealth. How would they do if they were given their upside down work? In particular, most of the people coming to the government team are the same who joined General Pervez Musharraf, Q League, and PPP and PML governments even in the assemblies, such as the result of the politics of the electabolies have come, and then why would they allow this? However, this is a test of government. Instead of putting extra burden on the public and making unnecessary decisions, it should be focused on raising your focus resources and stopping theft. It is also good to say and hear that the Governor House and Prime Minister House of Science and University make 115 million savings. And there will also be income and that government buildings will be a hotel. Whoever is telling this account, these experts should also come. How will the University become in the Red Zone really red zone is being erased? And will not the university and the museum cost. People are now recruiting financial, cook, driver, manager type; trained technologists will be recruiting for the museum. Whose salaries and benefits will be higher? The salary of the entire Governor House will be paid for a specialist salary. Therefore, before making such decisions, consultations must be taken.